VisionPlus(VP): To begin with, give us a brief insight about your journey in the optical industry. How, when and where did your association with Presenta Nova start? Mladen Pintur: My first encounter with the industry happened back in 1992 when I happened to meet a German architect form the industry by chance. He was looking for a product designer. This is how my journey in the optical industry began. The energy was excellent from the very beginning and after a short time of our cooperation, I founded my own company, which was facilitating the business between Germany and Croatia. At the time we had been designing and manufacturing products (displays) for opticians, for a German company who would launch them in the market and sell it worldwide. Soon I realised the potential of our products and this gave us additional creativity boost. And so the idea of entering the market independently was born. In 2002 I founded Presenta Nova. The name speaks for itself, the idea was to create new ways (nova) of displaying (presenta) eyewear. VP: Can you also tell us a little about your time before Presenta Nova and how did the interest in the optical industry happen? MP: As a master of civil engineering, I worked on numerous construction projects before my encounter with the optical industry. Still, a part of me wanted more, I missed the creative aspect of work. I always enjoyed creating new, functional and beautiful designs. I had understood the challenges of the optical trade and believed my designs could be the perfect solutions. Eyeglasses are a specific product. For the perfect presentation, a specially designed display is also a necessity. So, I decided to design products according to the needs of opticians, with a goal of helping them achieve increased sales and an improved sales experience. My first designs focused on enabling better visibility of eyeglasses design from all sides, security against theft, and excellent lighting, with the true rendering of colours and design details (of eyeglasses). This range of products was a great success giving me the motive to pursue my calling. VP: Tell us about the inception of the company and how has it grown with time? MP: The Company was founded in 2002. Back then, it was more like a one-man show. With time, I gathered a small but excellent team of experts, who were also my friends. Today I think that this friendly, almost family-like atmosphere was the key reason for our success, which followed very soon. One key locking rod which we manufactured appeared to be a revolutionary product in the German optical market. In a very short time, we had to increase our production, in order to meet the market demands. Over time, we enlarged our product portfolio. This fast and sudden increase in market share in Germany resulted in the opening of a German subsidiary that included a huge showroom in 2009. Today the showroom is regularly visited by our clients from all over Europe. At that time we also started offering design services, which later became our core business. After a thorough research of the US market, back in 2012, we decided to enter the North American market. We opened a US subsidiary with an impressive Showroom in New York. Acceptance of our products and our philosophy in the American and Canadian market was excellent. Today we can truly say we are present worldwide. Presenta Nova is a very dynamic company. We have different opportunities being offered to us every day. Our goal is to recognise the right ones that breathe our philosophy and simply take them – never stop innovating. VP: In your opinion, what were the challenges that the company faced and how did you overcome them? MP: The greatest challenge for Presenta Nova was the fast growth of the company. With the constant rise of our product demands, our production and sales capacities had to follow it. A lot of effort, energy and organisation were needed to rise up to this challenge and to create what we have today. Only 5 years after our opening, we were entitled by Croatian government as the best small export entrepreneur in Croatia. It was a big deal! Today, when I look at all of this, our past, I can say we succeeded. Design department, development and our production are all part of our headquarters in Croatia. Thanks to that, 16 years after Presenta Nova was established, we can still guarantee the authenticity of the design and quality of our products. VP: Tell us about the Roto Revolution Rod and other products in the Presenta Nova portfolio. MP: Roto Revolution rod is one special rod that enabled Presenta Nova to establish its presence in the optical market. I am happy to share that this product revolutionised the market in a sense. Presentation of frames at that time was based on vertical rods with lockable hooks that protected the frames from theft. The problem of these rods was that the opening and locking of the hooks repeatedly damaged the frames. They were tricky to use and the Roto Revolution rod changed that. Hooks in Roto Revolution rod would open all the way and then retract into the rod. The handling was much easier and also minimised the possibility of damage. This product was one of the first to be patented under the Presenta Nova portfolio. Gradually, the presentation of frames developed and changed a lot. We have also evolved to offer different types of display systems. Each has its own specific characteristics which were developed bearing in mind the final needs of the optical shops. Beside the Roto Revolution rods, our product range also consists of panels with pre-installed rods. Panels are available in the standard dimensions. 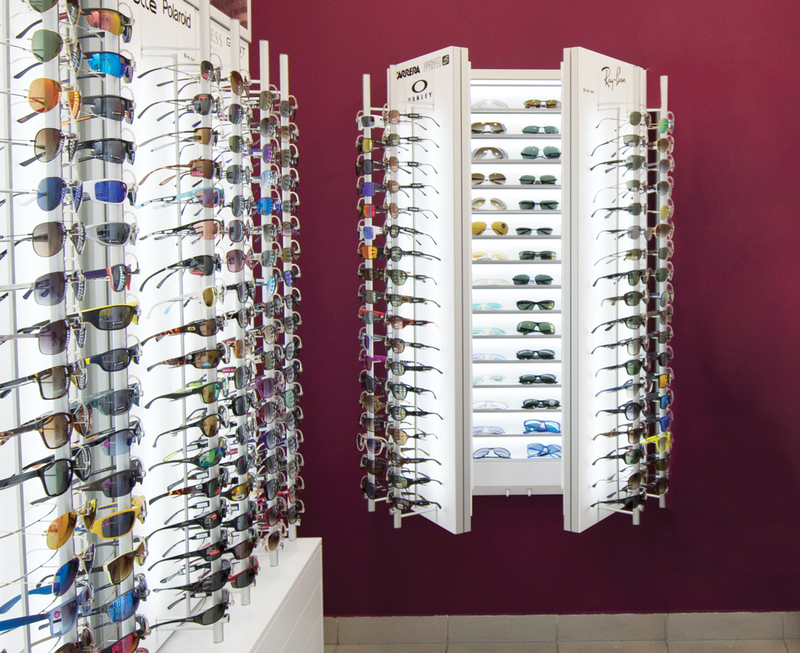 They come with an easy complimentary upgrade which allows opticians to add more cabinets and advertising panels. Rods can be covered with different types of decor, they can be rotated, controlled and locked with a remote. Currently, a very popular way of exhibiting the frames is on shelves. In our portfolio, one can choose between different lines of shelving displays: Quadro Diverse, Panorama, Vivida, UniLock etc. Each series has its own unique characteristics, but what they all have in common is the beautiful lighting with numerous effects, magnetic features that allow simple changes in design and more presentational capacity. Shelves can also be easily complimented with cabinet and advertising panels. Our UniLock shelf (patent application) comes with the possibility of adding an elegant locking system for frames on each shelf separately. This specific group of products is maybe where our modularity is visible the most. All our displays can be adjusted to fit into every space and can be fully customised. Whatever system you choose from our product range it will surely attract people towards your shop by modernising the display. We have developed our range of diagnostic products by exploring our cooperation with Luneau Technology group. We developed and designed a whole line of electric lifting tables with the motive to ease and improve the diagnostic process. Freestanding displays and cabinets are part of our functional product range that is always necessary inside the optical store. VP: The company slogan – “Future is Modular”, is truly interesting, could you please elaborate on the philosophy behind it? MP: Thank You. The motto means future is modular. It is not just our motto but also our direction when it comes to designing optical interiors. In the past, designing an optical store was mostly carried out through massive, sturdy furniture that was usually custom built. That was very limiting in the sense of design and the final results would usually become outdated and unattractive in just a couple of years. We wanted to change this. We wanted to bring innovation and modularity in designing optical interiors. We wanted to provide more options for designing, while really paying attention to the functionality and the sales issue. The design must always highlight the frames, not the other way around. Therefore, our system of optical displays is fully modular and allows complete customisation of space. Many of these modules allow easy changes and numerous design options simply with their different sizes, materials and shapes. The system allows easy upgrades all within the planned budget. All displays are installed on the wall and have no contact with the floors which really adds to the overall clean look of the interior. The displays can be easily rearranged, replaced, and even a small change can result in a completely new look. The system is easy to install into any space, and solves the problem of moving into a new space – they can simply be reinstalled in the new space. That is really space and money saving, especially for larger optical chains. In the end, this modularity allows easy and simple creation and recreation of corporate identity through different colours and decors which is very important today. VP: With minimalism and innovation being the key objective of the company, what are the new innovations that we should look forward to in the upcoming year? MP: Every display is designed in a minimalistic way which means that it lacks all the details that usually distract attention from the frames. Invisible joints, smooth surfaces, lack of handles are some of our product features. The main goal is to emphasise frames solely and improve sales. Here I will name two of our products, of these, one has already conquered the market, while the other is in its initial stages. Dual storage is our innovation when it comes to storing the frame collections. It is a smart and elegant replacement for existing drawers. Dual is installed on the wall, behind the chosen display. It is easy and reachable simply by opening the display like an elegantly lit closet with shelves. Dual storage allows comfortable storing of 350 pairs of frames within a 90 cm wall width. With it, dusty dark drawers are a thing of the past. UniLock shelves on the other side are our newest innovation when it comes to the shelving presentation. Shelves are very attractive, but what they lack are the capacity and security. While we solved the capacity problem with Dual storage, UniLock provides a security as well solution. UniLock shelves come with integrated hooks that open and close with a magnetically coded key. Every frame on the shelf is secured. What makes this system different is the fact that you don’t have to unlock every single frame separately. You can lock and unlock all the frames on one shelf at the same time. This system is currently being patented. VP: What are the strategies that Presenta Nova has in place to withstand competition? 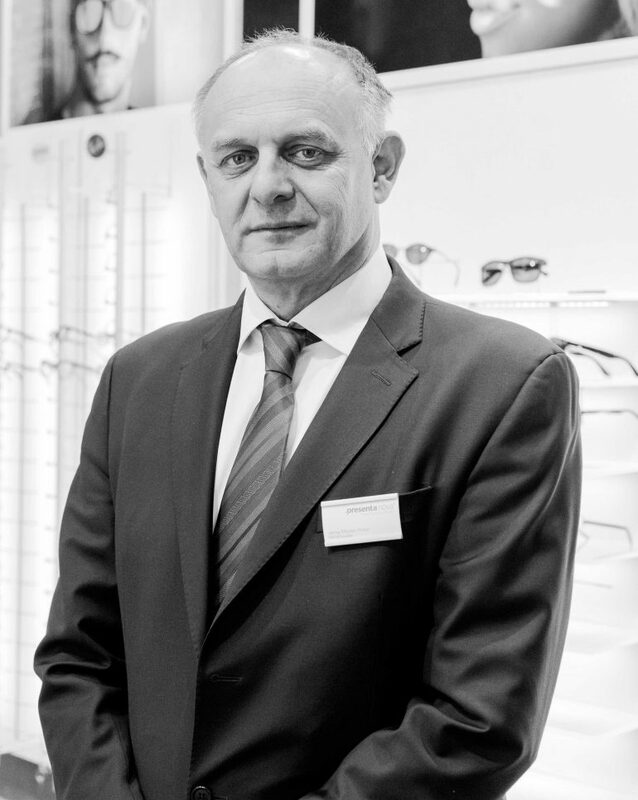 MP: What separates us from the competition is our high specialisation for opticians exclusivity and innovation. By innovation, I mean that every display that comes out of our production is a direct result of our close cooperation with the opticians. Every product is a solution to their needs. For instance, the Panorama shelves that bring the new motion in the standard presentation and UniLock shelves with the anti-theft system. We are here for the opticians and we are always trying to communicate that. VP: In your opinion, how have the market trends in store display changed over the last few years? 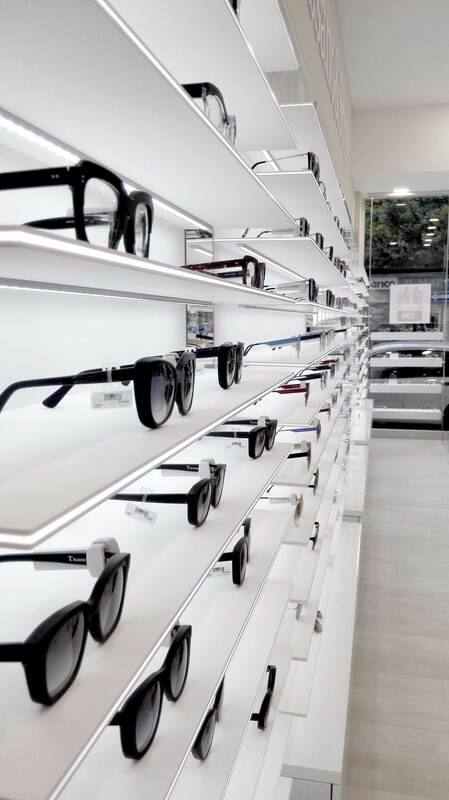 MP: Trends in optical shop design have changed a lot in comparison to the previous years, but I must say that even today they essentially differ from one market to another. Depending on the buying power, the size of the market, how sales are organised and of course the personal affinity of the buyers we can say that some markets are more open towards innovation, while others are a bit more conservative and need more time to embrace the new trends. The general awareness of the importance of corporate and brand identity is greater than ever. The clients are really trying to implement it in the design of their shops. 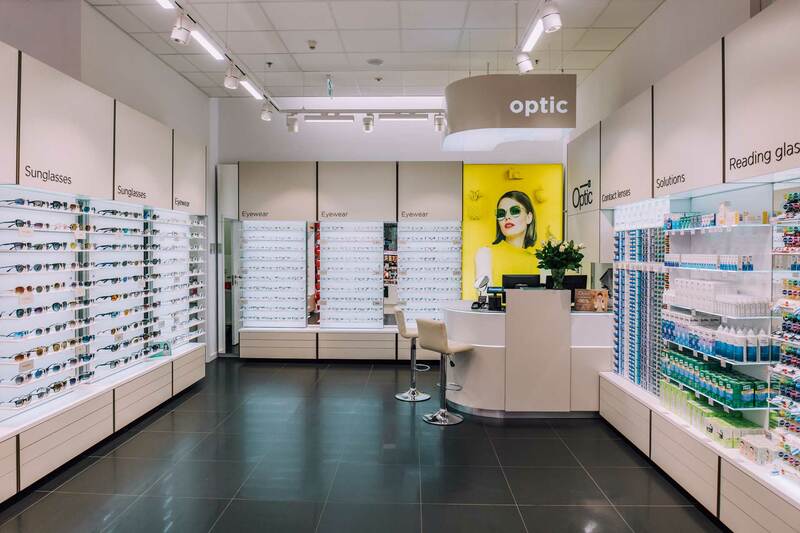 With the rise of online shopping, the opticians were somewhat forced to work on improving their buyer experience, and interior design plays a big role in that. For example, lighting design was something that was often ignored when it came to optical store design. Yet now, it is the essential part of every optical display. 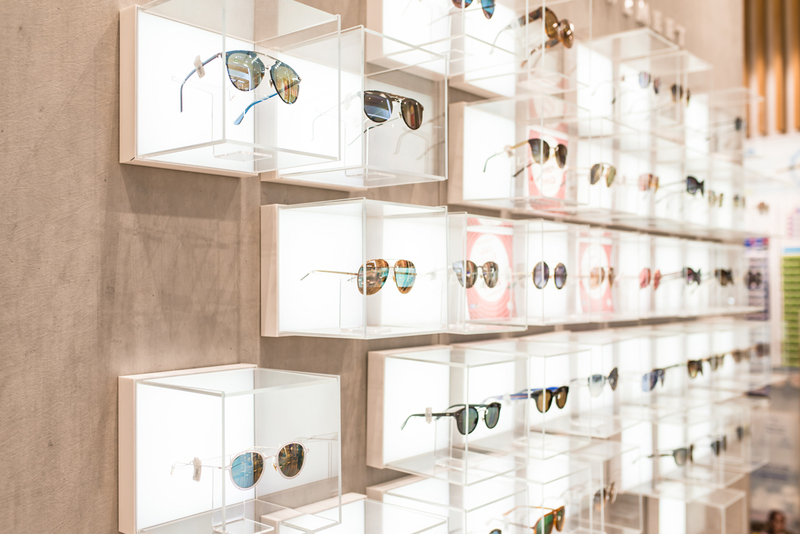 We can even go that far and say that beautifully lit and displayed frames can contribute 90% of the sale of a store. Interactive multimedia content is being introduced into optical shops in large numbers. For example, we offer this OptoMedia system which provides a sort of an advertising network for the entire shop. While waiting for their examination, we provide patients with different gadgets and displays where they can try different models of virtual and real frames. This experience can then be shared as photos on social media. 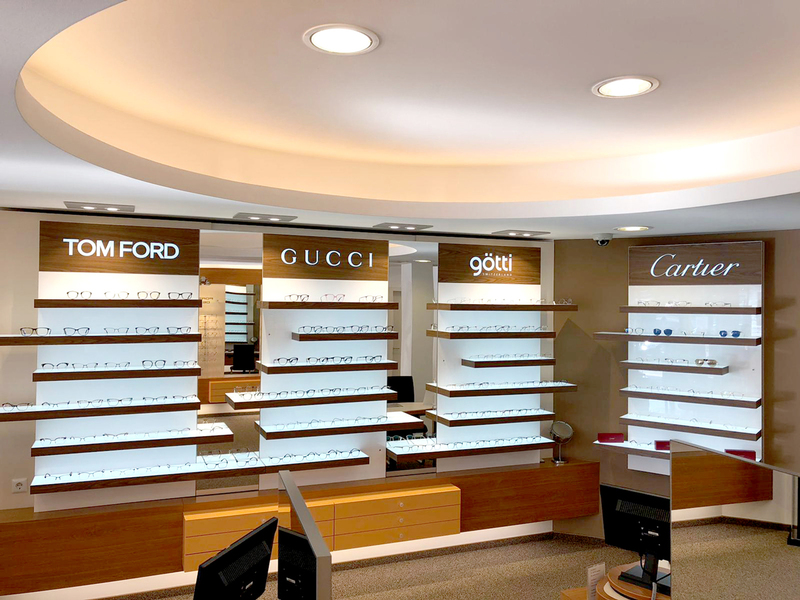 Nowadays optical shops are turning into a very exciting and dynamic space of ever-changing interaction. VP: How important do you think it is to invest in skilling your manpower in order to boost their efficiency/productivity of the company? What are the initiatives that you are taking towards skilling your staff/associates? MP: Employee training and education are mandatory in order to compete in the global market. Our employees are all experts in their field of work, but what they all have in common is this unusual dedication towards work and our products. Our philosophy is deeply integrated into every aspect of our production, our product design, shop design and even the final installation. Our employees regularly visit optical fairs where they get introduced to the latest trends in the optical industry and also where they get to understand the ever-evolving needs. We support and encourage creativity and innovation. We believe, Presenta Nova is made of people that work here, and investing in people is an investment in the company. VP: From where you stand today, what is your vision for Presenta Nova? Where do you see it five years down the line? MP: Presenta Nova is a family company that does business internationally. Company headquarters are in Croatia with subsidiaries in Germany and USA, distributors and sales agents all around the world. This international presence allows us to meet our client’s needs more efficiently. We are a regular exhibitor at Mido, Silmo, Opti, Vision Expo East and Vision Expo West and we use it as a chance for promoting our design philosophy and for setting new trends in optical design. Today I can say that our plan is to improve and strengthen our position in The Middle East. 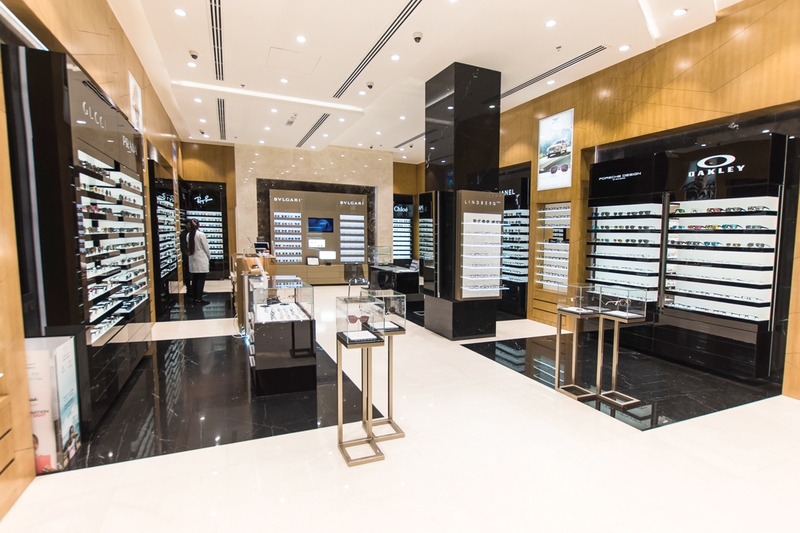 For the past few years, we have had an excellent experience with designing for both big optical chains like Al Jaber, Al Saggaf as well as many other smaller opticians. Our desire, as well as ambition, is to open an office with a showroom for The Middle East solely. In five years from now, I see Presenta Nova exhibiting again at the Vision-X Dubai. I see us with our own showroom as a place where an optician can get the best consulting and design services for their business.